I'm back..... and it's Tutorial Tuesday! Ok I know I have been on hiatus for a while. It started with having to get all 10 of my scrapbook layouts done within 4 days of having class. which wouldn't seem to bad if it weren't for the fact that the 4 days I had to get them ready happened to fall in my busiest week I have had since school started. And the week before wasn't much better. So I had to spend most of my free time trying to get the pages done, a shoe box swap and attended and I had a card swap due. Now for some reason I didn't realize that they all hit with in 2 days of each other, so I was a bit busy. Anyway, then last week just seemed to get away from me. And to top it off, Girl Scout Fall product sales have began (I'm the leader so more fun for me) and Yasmine now has 2 soccer practices a week + the one on game day; that has been added to our busy schedule. So I promise to try to keep up here too but I might get behind sometimes between now and the end of Soccer season. Now on to what you are really here for....... Tutorial Tuesday!!!! So let's get started, this week I decided to do the 5 in 1 envelope template box. It is an older idea and you can find more samples and stuff on Splitcoast. To start you will need the following: 5 in 1 Envelope Template, Pencil, Paper cutter, score blade, Scissors, Bone Folder, a piece of 8 1/2x 8 1/2 piece of card stock (for the bottom of the box), a piece of 7 x 7 coordinating card stock, 4 pieces of DSP 4x 1 1/2, and accessories to decorate your box once it is assembled. Now that you have everything let's get going on how to make it. Since we are starting with the top you will need the 7x7 piece of card stock (also known as the Top of the box) you need to score at the 1 1/2 inch mark on all 4 side of your piece of Card stock. Once it is scored on all 4 sides you will need to trace the large envelope top on the 5 in 1 template inside the rectangles that you have created when scoring the piece. Line the bottom of the crescent shape with the score line that you made. The template may be a little larger then the rectangle that you created. In that case just center it the best you can. The corners will actually be covered later during the project. Now that you have traced the 5 in 1 envelope template on the four sides it is time to cut the crescent shapes out. You should end up with the picture on the right. Or as my youngest daughter called it "a boring flower" shape. Once you have them cut out go ahead and crease the score lines that you made earlier. Now on to the 4 strips of DSP that we cut. On each of them you want to line up the bottom of the 5 in 1 template again to the edge of the strips of DSP. Again the 5 in 1 template might be slightly larger then the strips but that is ok because you will be covering up the edges later. Next you will want to cut them out so that you have 4 half circles. Fold them in half, going from point to point and crease it with the bone folder. At this point you will want to run sticky strip all around the very top edge of your Card stock lid. Just under the score line (sorry I some how misplaced the last two pictures when moving them so I could edit them) Next you want to line up the DSP half circles to the corner of the box top. I started at the creased edge in the middle, it makes it easier (see picture). Attach all 4 half circles to your box lid. Next it is time for the 8 1/2 x 8 1/2 piece of card stock(also known as the bottom of your box). You will need to score it at the 2 1/4 mark on all four sides. Now you want to cut on the scored lines up the the crossing scored line. You ONLY want to cut the scored lines on OPPOSITE sides. See Picture. For the last step I put sticky strip on the top and bottom of the small rectangles that you cut out. Then fold in the longer pieces to create the bottom of the box. See Picture. So, now you can place your lid on the bottom of your box. This makes it easier to work with. Especially when trying to run the sticky strip around the top for the ribbon to hid any cutting flaws at the top/ tips of your half circles. Now it is time to decorate your box how ever you decide. So as many of you know School started back up for us at the end of August. And I get to send 2 of the 3 to school. While Christia is only Half day it still leaves me some nice alone time while she is gone and then boys are taking a nap. My daughters wanted to give something to the teachers for their first teachers meeting. Thanks to a friend of mine, Sheilah, I knew exactly what to make. She shared a flower with us at our last meeting so I made them a flower pot with York peppermint patty flowers in it. I have blanked out the wording on the cards because they had information about where my girls attend school. So onto the picture...... As usual all items are from Stampin' Up! unless other wise noted. Non SU! : Flower pot, long Popsicle sticks, Styrofoam ball, and cello party bag filling. Both my girls were ready to go to school weeks before the first day. They both had their backpacks pack and ready to go a month before and started counting down about a week after school got out for the summer. Christia was especially excited to get to go because it was her first day of Kindergarten. Well, thanks for letting me be a bit more personal then normal. What do you think? I was thinking about starting a weekly or bi monthly tutorial or technique or do you want tutorials on techniques?!? So which one would you rather see? You can either leave a commit or drop me an email and let me know. But until we decide here is how to make the card seen below that I shared the other day with the Big Shot. You will need to cut and fold your card. Mine is cut 4 1/4 x 11 1/2 and folded in half at the 5 1/2 mark. Lay the folded end slightly inside of the dies edges (see image) this way you don't cut the top of the image totally and it will remain hinged at the top. Next you run it through the Big Shot and out pops your Card. You will need to hold down the cutter as you do it but you will know when to grab a hold of it. Basically, it you don't it will try to run away. Now you decorate your card how ever you want. Here is the finished sample again. This card is actually smaller then a normal card so it fits easily in our standard envelopes. So now it is your turn to try it. And don't forget to share yours with us if you do. Just leave a commit in the commit section with a link to your card. If you have any questions let me know and I will try to do my best to answer them. But Inspired by Nature is such a versatile set to work with and I really like it a lot...... So again I used it for Beates color inspiration challenge from last week. Here is the image she gave us. As usual all items are from Stampin' Up! unless other wise notes. And remember no laughing. Another week and more Cupcakes!!! Since this weekend I wasn't doing to well I didn't stamp to much. So today I had a chance to sit down and stamp while my Daughters were doing homework and Ethan was taking an afternoon nap. One of the things I did was the cupcake challenge over at Taylored Expressions. Here is her original sketch. It started out a bit challenging because last week sometime my daughter was playing around with my coluzzle and broke one of my templates. I managed to make it work but it was not an easy task. There are many bonuses to kids growing up and being curious about the world around them but at the same time I wish they weren't so curious about my stamp stuff. So it looks like I will be reordering the Coluzzle kit. Grrrr. Oh well, Life happens and we move on. Right?!? Ok, so I stared this card with an image in my head of what it would look like when it was done and let me share with you, this is not what I had originally had pictured. But it works and I think I have the perfect person to give it to, too! 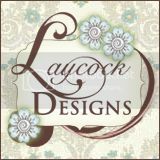 So now on to the card....... As usual all items are Stampin' Up! unless other wise noted. IT"S UP, IT"S UP, IT"S UP!!!!!! I am sooooo very excited!! I just can't explain the excitement I have for this!!!!!!! SO WHAT IS IT?!?!?! It is up and live!!!! STAMPIN" UP! 'S ON-LINE ORDERING is HERE!!!!! So do you want to see how totally cool it is??? Oh my Goodness it is so totally awesome! You can search by project, by category, by keyword, etc. CLICK HERE TO check it out yourself!!! Right under my name in the top right corner is a link that says SHOP NOW click that and you can browse the on-line ordering however you want!!! IT IS SO COOL!!!! If you place an order I will see the following day that I got an order. But just to be sure I don't over look your order please still drop me an email letting me know it was placed.So in celebration lets have a special!!!! The First 5 to place an orders directly through my website will get a pack of 5 hand stamped cards mailed out to them for your personal use. Remember you must got to the shop through my website for it to work! Ok now that I got that out of my system I will post a card after the girls get out of school. Have a Stampin' great day!!! For dealing with me during my cold. Also, it is the weekend layout from Beate over at Fresh & Fun. Over the weekend I still wasn't feeling all that great but I did sit down and stamp a bit Yesterday. So here is the sketch that was given. It was an easy sketch to follow. And the card came together really quickly, within 15 minutes actually. I am always happy with easy sketches because it means that you get to stamp it and move on to the next one. So on to the card that I made and actually already have filled out and ready to mail. As usual all items are from Stampin' Up! unless other wise noted. Ok so I am sorry it's late..... I did get it stamped on Wednesday night but never got around to getting the picture taken and posting it. Christia brought home a cold from Kindergarten on Friday and it slowly is being passed from one person to another in our family. So far everyone has had it except for Yasmine. Anyway, Wednesday I didn't feel great but I think I am doing better now. So anyway here is the picture of the colors that Kristina gave us. Now I must say it was a bit tricky. The colors just didn't want to work with me. I played around for a while with them while I was waiting for my Asthma meds to kick in so I could go lay down (it is hard to lay down sometimes when you are sick and have asthma- just doesn't work, hard to explain). Anyway, so I ended up with lots of un-liked pieces and with these 2 cards. As usual all items are from Stampin' Up! unless other wise noted. Accessories: Regal Rose Grosgrain, Big Shot and the Bigz Top Note die. Now for the other card. This one was actually the first of the 2 but I am not sure I really like it that much but here it is anyway. As usual all the items are Stampin' Up! unless other wise noted. I will post how to use the die to make the shaped card later today. on a Monday!!! Look at me go. I think this might be the first time I have managed to get it stamped and posted on a Monday!!! Of course to make up for it I do have a Challenge from way back in early to mid July that never got posted or sent.... Oops. Ok back to the Yeah Me! part of the post :-) Since it is Monday, Technostamper posted her challenge. Actually, I think it was posted yesterday but I got it today. Since I have managed to get everything caught back up (for the time being) or at least I think I have; I sat down and stamped today while Ethan was taking his nap and the girls were watching Herbie on Disney. Ok back to the card here is the sketch she posted. At first it kind of stumped me because I couldn't think of a set to use. So I decided to clean my desk before I started. Well, that led to the next card. But then after I got my desk cleaned off I thought about the UPS man at convention and my card was a snap from that point on. So do you want to see what I came up with? As usual all items are from Stampin' Up! unless other wise noted. Ok so back to talking about cleaning my desk. As organized as I am my stamp desk usually looks like a tornado hit it. It seems to be the place where everyone in my house puts the stuff that they are not sure where else it should go or are just to lazy to put it away. Our office has no doors on it so it is a convenient place for the girls to leave stuff. So like I said earlier when I was stumped earlier I started cleaning it again. And low and behold I found a card i thought I had given to a friend back in July. Then when I re-found it I was going to give it to her Husband to deliver with a flier and found them both today. If you are reading this Diane, I will give it to you tomorrow. Sorry again. Ok so now on to the sketch again.... this is from technostamper back in early to mid July I think. So i started off with it looking like this and then tweaked it a bit but it is still the same basics. So again sorry Diane but here is your card. Ans at least you know I was thinking about you and your broken foot. As usual all items are from Stampin' Up! unless other wise noted. It is another sample with Inspired by Nature and I said I would move on. But if you look back I actually have moved away for a short bit and then just came back....LOL. Ok, so I tried. I will try harder, it is just such a great set!!! So what brought us to this set? Beate's inspiration Challenge. She posted this picture and challenged anyone who wanted to play to either follow the layout or the colors to make their card.What a great picture for some inspiration. You could say I did a bit of both. As usual with my cards everything is from Stampin' Up! unless other wise noted.